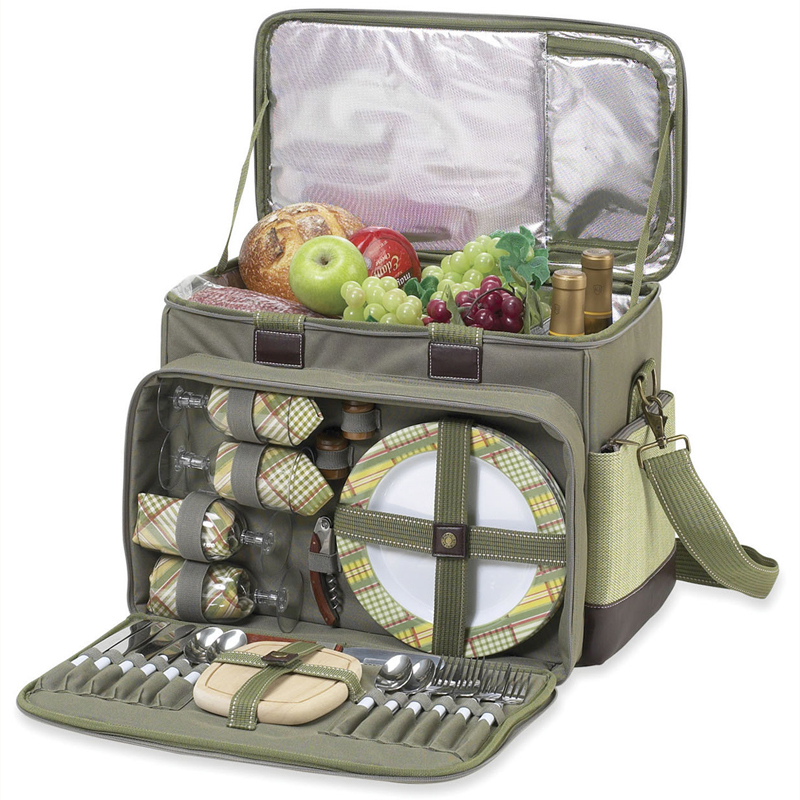 Upscale, Thermal Shield™ insulated picnic cooler with service for four. 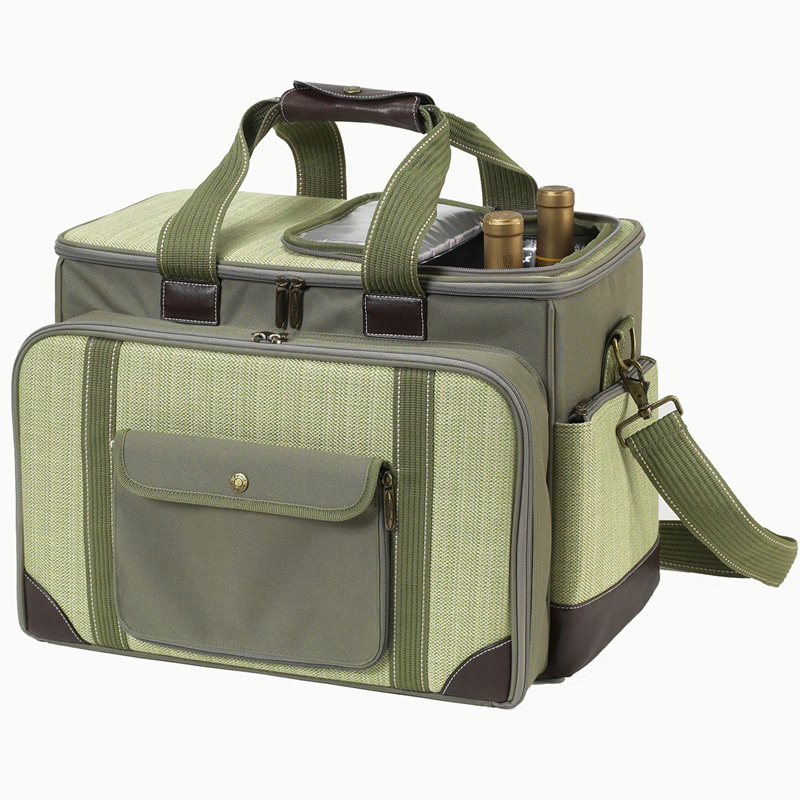 Unique, waterproof, divided cooler compartment allows drinks to be kept on ice, while food stays cool and dry. Includes combination corkscrew, hardwood cutting board with juice groove, cheese knife, wooden salt & pepper shakers with non spill tops, acrylic wine glasses, coordinating melamine plates, stainless steel flatware and cotton napkins. Easy access to beverages through zippered opening in lid. Adjustable Shoulder strap and convenient hand grip, extra external pockets. 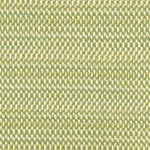 Designed and assembled in the USA. Lifetime warranty. Weight per Box: 11 lbs.